In this stressful, hectic time of year, I’m reminded of a simple inspiration shared with me by my 4th grade teacher. “In life it is important to spread roots and grow wings,” Mrs. Jones advised. Initially, these words induced a sense of staying connected to my values, my family, and where I came from even as I grew older and moved away. As I matured, the scope of these words expanded. A sense of relief came with these words. It became okay to be myself: I could grow and expand, explore the world, and still have that connection and community of grounding. As I have developed a yogic lifestyle and a better understanding of Ayurveda, these words tie in effortlessly to my practice of balance. The need for balance is highlighted during this season of rushing and party-going. It’s easy to get wrapped up in achieving and doing. Yoga creates a space to slow down, a space to breathe, where you can connect with the earth and yourself. Sound Refreshing? You will be amazed what a breath-based yogic practice can do for your life. Yoga means yoke or union. It is dissolving boundaries so that you may find a connection with all that is, and so that you may find your true self. So often we focus on the doing so much, that we become disconnected. This is particularly true during the rush of holidays. Allow growing roots and spreading wings to become even more literal for you this season with VaihAyasa Aerial Yoga. VaihAyasa is Sanskrit for “being or moving in the air, suspended in the air, sky-dwellers.” An appropriate name for the newest style of Aerial Yoga that combines the fun of other playful acrobatic aerial, with the more grounding and alignment-centered details of more yogic aerial. It is a smooth merger of both extremes of the aerial yoga world that allows practitioners to sink into their practice more quickly, to deepen stretches, to find proper alignment naturally, and to reap the benefits of inversions without strain on the joints of the body. Aerial Yoga allows practitioners to invert without strain to the neck or joints, allowing for surrender into a posture and full benefits. You will find that your mind clears, shifting to become open, aware, present. PureYou…Counteract the whirlwind of the holidays as you take a lesson from childhood in expanding your horizons, while creating grounding with Aerial Yoga. 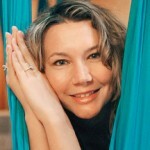 VaihAyasa Aerial Yoga classes are regularly offered at Kaya Wellness & Yoga, Rehoboth Beach, DE, and at Kaya Aerial Yoga, Olde City Philadelphia! Check our website or join our mailing list to receive info on the new location. 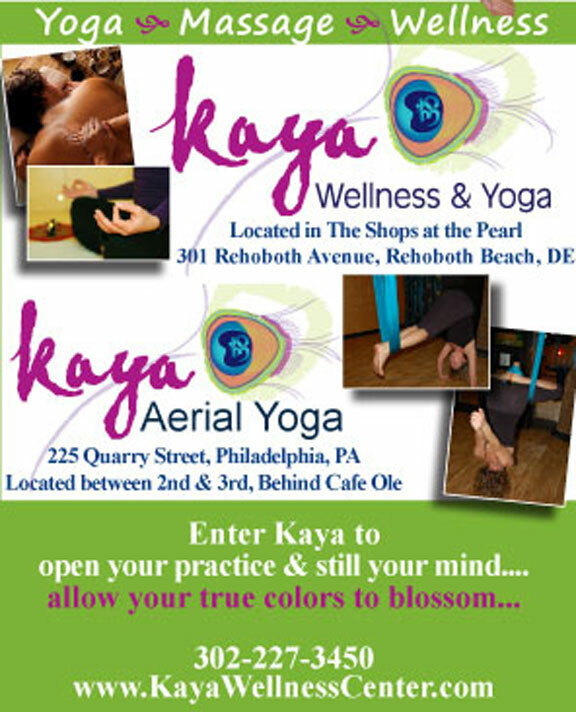 www.KayaWellnessCenter.com 302-227-3450 or email info@kayawellnesscenter.com. Enter Kaya to open your practice & still your mind…. Allow your true colors to blossom. In this stressful, hectic time of year, I’m reminded of a simple inspiration shared with me by my 4th grade teacher. “In life it is important to spread roots and grow wings,” Mrs. Jones advised.